Omistajan rakennettu uusi rakennus. Trappers-mökki vie sinut takaisin kauan sitten puiden seinillä ja maalaismainen tunnelma, jota ympäröivät villieläimet. Olipa tulossa kaupunkiin kalastamaan paikallisia puroja tai Lake Erie, mene patikointiin tai katettu silta kiertueella tai vain rentoutua lomalla, meillä on paikka sinulle. We enjoyed our stay! It was updated and very nice. The cabin was beautiful and newly constructed. Everything that we needed to have a comfortable stay was provided. The kitchen is well equipped to allow for cooking. I wish it was warm weather so we could have used the fire pit outside! Looking forward to visiting again! So glad you enjoyed your stay with us. I will try to control the weather the next time your in town . LOL . We would love to have you again ! We had a wonderful time! Lovely cabin with everything you need. Cozy and comfy. Will be back! We had a wonderful time at the cabin. Comfy and cozy. Will definitely stay again. We LOVED the cabin! Not only was decorated so nicely but it was really clean and spacious too. It had everything we needed as far as linens, towels, cooking utensils. It does have well water, so the water was a little smelly. But there was lots of bottled water provided for us for drinking and cooking. Based on the map we thought it would be pretty close to the highway but it was actually tucked back by the woods which was really nice, especially for letting our dogs outside. The owner was really nice as well when I talked to him over the phone. We would definitely come back here again! Brooke and her friends were the perfect guests. (Their dogs also). I look forward to their next visit. You can't go wrong with Brooke ! 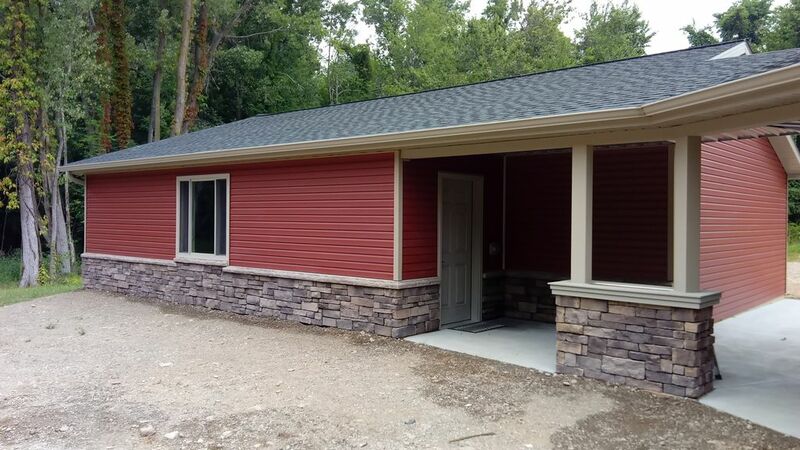 Beautiful brand new cabin in Girard. The place was fantastic inside and out. Great space for myself and my family. The fire pit was a great place to relax and talk about the days adventures. We really liked the location, it is right in the middle of many destinations. Conneaut, OH is a 10 minute drive and a great place to spend a day at the beach. Erie is about 20 minutes away, we spent the day at Waldameer (it has one of the best rollercoasters I've ever ridden). Jeff was easy to work with and put a lot of care in to building this beautiful "cabin". So glad you enjoyed your stay! We appreciate you taking the time to review our "cabin". Thank you for being our guest and for keeping it clean.